Park West Pointe is an award-winning apartment complex and residential quarter, with great transport connections and the highest standard of interior decor. The best of everything on your doorstep – that's what you get at Park West Pointe. The apartments at Park West Pointe set a high benchmark when it comes to standards of living. Bright, spacious interiors combine with the most sophisticated finishes and furnishings to make an ideal living space. It’s all complemented by the the surroundings – gardens, sculptures, shops and leisure facilities. Park West Pointe is in a great position – literally – when it comes to transportation. 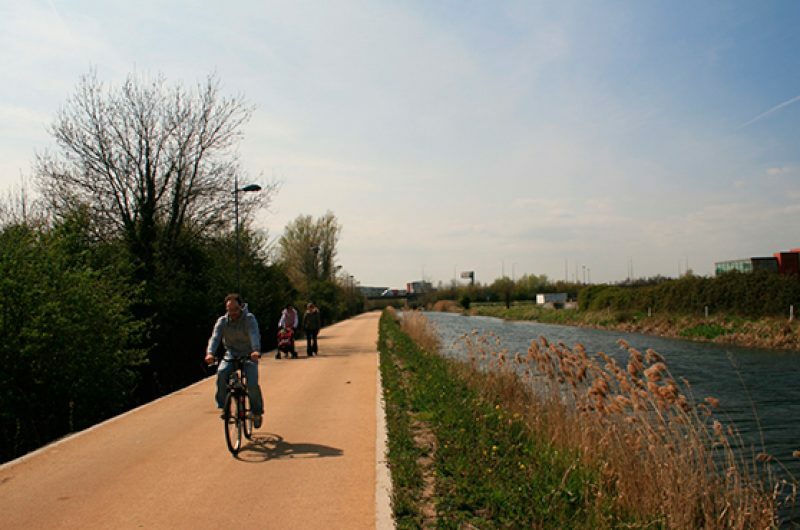 Situated beside the M50, Dublin’s orbital motorway, it’s also connected to the city centre by bus and Luas. It has its very own train station that will whisk you into the city centre in 20 minutes. There’s even a network of cycle lanes in and around the campus for those who like to bike it. 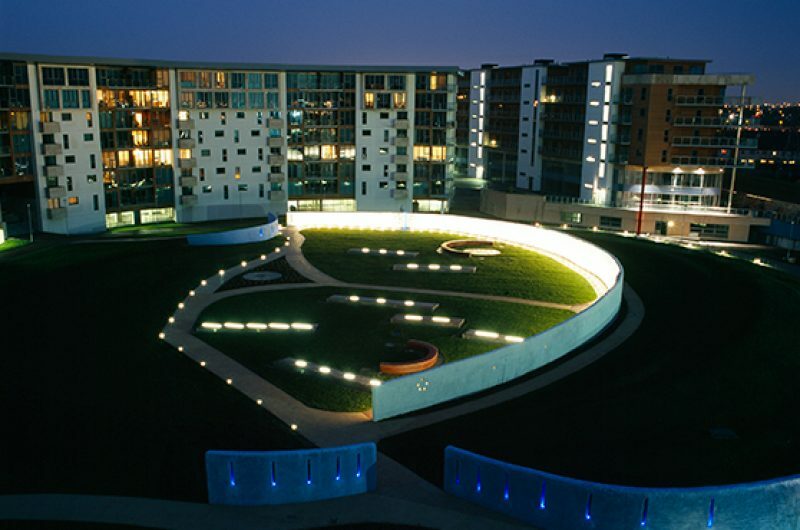 The Whitelight Garden is the centerpiece to the residential quarter of Park West. Seven years in the making, this ambitious garden was designed using a variety of materials, forms and technology. By day, residents can use its benches, paths and the running track around the perimeter. Come night, it’s an enormous light sculpture with illuminated archaeological and astronomical themes.